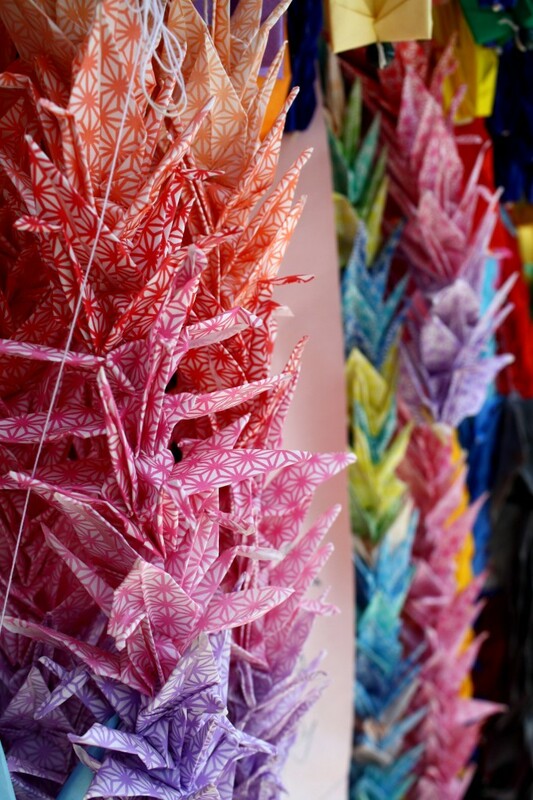 Above: Paper cranes on the student commemoration monument in Hiroshima’s Peace Park. So our Japanese trip’s at an end; we’ll be flying back to the UK tomorrow morning. I can safely say it’s been the best holiday I’ve taken so far, I’d come back to Tokyo in a heartbeat. There’s a huge amount I haven’t covered, between us we’ve taken almost 30gb of photos and videos, not to mention about 60 Polaroids of various descriptions and a Super8 cine movie. I’ll continue to post about the interesting points once I’m back in the UK and I’ve got some time to go through the photo’s properly. I’ve got a few ideas how I can present them in an interesting way, so we’ll see. I’m pretty satisfied by everything we’ve accomplished in these short 2 weeks, although having wanted to visit for so long it’s kind of crazy to thing its actually been and gone now. Better start planning the next trip! I want to come on the next one!